The world has changed – therefore the way we manage our careers MUST change; the way we market are services and business MUST change to ensure survival and viability in this unsettling new world. Steve Eilertsen is a public speaker at many conferences around South Africa. He speaks on the crazy new world of online marketing, social media and making sense of it all to recession proof yourself. His first training seminars called “Dead men have white collars” covers the unique new world and opportunities emerging from the web. Understanding this new world and how to best use it to your advantage to form renewable income streams is the key to the talk. You walk away with an overall knowledge of all the terms, the platforms and the trends. 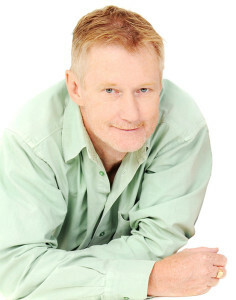 Steve teaches you to strategies a way forward for your personal brand or your companies brand. Tom Peters says that 80% of all white collar jobs are going to disappear. Peter Druker says that the corporation is not likely to survive the next 25 years. David Ogilvy urges companies to employ dissidents and rebels. Daniel Pink says that meaning is the new money. Seth Godin reminds us that the future is not the same as the present, but with cool clothes and flying cars; it is radically, shockingly, gut-bustingly different. These thoughts are interesting, but HOW do we react? What do we DO to take advantage of the myriad of new opportunities ? How do we CREATE new structures and what resources do we use in these difficult times? The training is a full two day course but can be customized according to your needs should you wish to hold it at your offices or conference venue. Steve can be booked for your next conference or a team strategy meeting.